With the price of housing soaring, rents climbing, and wages remaining stagnant, Californians are facing a growing affordable housing crisis that could threaten the economic recovery—and now is the time for state leaders to do something about it. This is the message the California Economic Summit shared with the Governor and Legislature in a letter today, urging the state to act this year to expand resources for subsidized affordable housing—and to do everything in its power to expand development of affordable and market-rate housing close to transit and jobs. "There is no doubt about the importance of taking on this growing problem," said Cathy Creswell, a housing and planning consultant and former acting director of the California Department of Housing and Community Development, who serves as co-lead of the Summit Housing Action Team. "The recovery is expanding and jobs are coming back, but more Californians than ever are living in poverty, homelessness is climbing, and too many working people can't afford a place to live." Housing, as the old saying goes, is where jobs go to sleep at night. And if the state doesn't get housing right, it won't be able to achieve any of the other goals lawmakers share with the Summit—from connecting workers with well-paying jobs and improving environmental quality to building the infrastructure required for sustainable communities. That is why the Summit has made housing a top priority in its Roadmap to Shared Prosperity, a five-year plan for pushing the economic recovery toward the "triple bottom line"—promoting simultaneous growth in the economy, improvements in environmental quality, and increased opportunity for all. Among the solutions identified in the Roadmap is creating a new, dedicated source of funding to expand housing affordability and accessibility. This issue has become especially critical in the absence of the $1 billion redevelopment agencies once spent each year on affordable housing. Bond measures also raised about $5 billion for housing over the last decade, but, with the exception of a recently passed measure for veterans, those funds are nearly exhausted. In its letter, the Summit offers its support to Assembly Speaker Toni Atkins (D-San Diego) and other lawmakers who have introduced a package of bills that would expand state and federal subsidies for affordable housing. These ideas range from raising as much as $600 million a year from a fee on real estate documents to expanding the existing low-income housing tax credit by $300 million. To build a lasting foundation for prosperity, the Summit is also encouraging lawmakers to do everything in their power to ensure the market can produce more housing—the only way to make housing more affordable for everyone. "The question is: What levers in state policy should be pulled to allow the right kind of market-rate housing to be built in the right places?" said David Smith, a partner at Stice & Block LLP and chair of the Building Industry's Association's climate change task force, who also serves as co-lead of the Summit Housing Action Team. "The Summit's network of experts has developed a framework that offers a good place for lawmakers to start. Taken together, these ideas could dramatically change how much housing is built near transit and jobs in California." 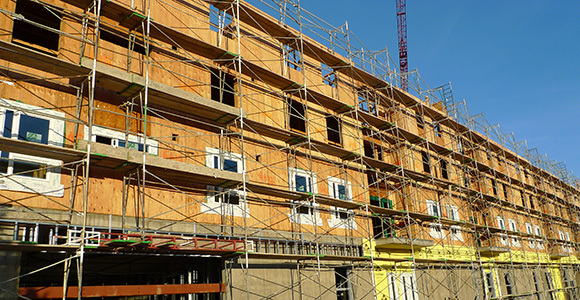 The Summit proposals range from ensuring sustainable housing projects can take advantage of the CEQA exemptions outlined in SB 375, the state's landmark land use law, to incentivizing local governments to plan for more higher density housing—and to adopt additional policies in their housing elements that reduce regulatory barriers. The Summit is also considering incentives for communities to use new tax increment financing authorities to support housing projects, as well as ideas for updating fees and the permitting process to reduce costs for housing developers. These housing proposals will be a centerpiece of discussion at the next meeting of the California Economic Summit on November 12-13 in Ontario, where more than 500 business, environmental, and equity leaders will assess progress and sharpen strategies for targeting resources where they are needed most. In the meantime, the Summit stands ready to support lawmakers willing to take on the state's growing affordable housing crisis.